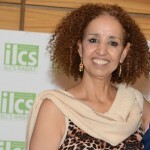 Institute of Leadership and Communication Studieswelcomes you to Morocco: Marhaba! ILCS, Institute of Leadership and Communication Studies was founded in 1996 by a group of American and Canadian University Ph.D. Graduates, to make a difference and contribute to their community development by education. It is my greatest pleasure to welcome all international students who are planning to come and visit Morocco and ILCS next semester and subsequent semesters and years. It is also my pleasure to pledge that my colleagues and I will ensure that you will benefit from your visit to Morocco both with regards to our academic programs. Courses for these language classes are accompanied by visits to different parts of Morocco over the weekends, where the students will have opportunities to practice and enrich either language of their choice, interact with local populations, and contribute to community work.